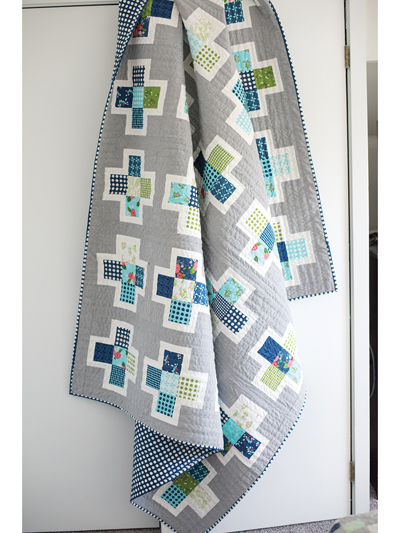 A quilt the whole family will love! 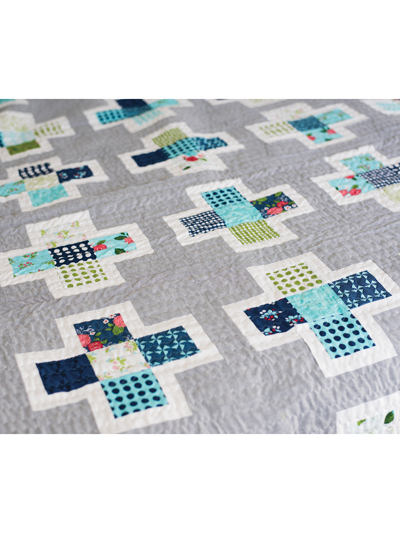 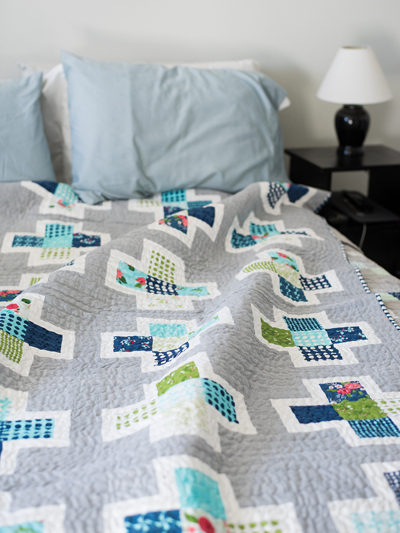 This fun and modern quilt pattern puts a different spin on a basic plus quilt. 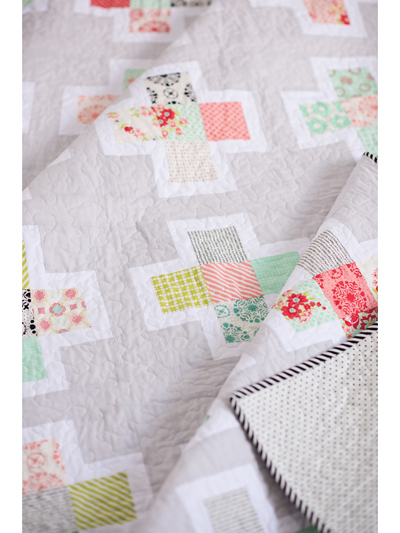 Simple piecing makes this a great beginner quilt, and it's precut-friendly. 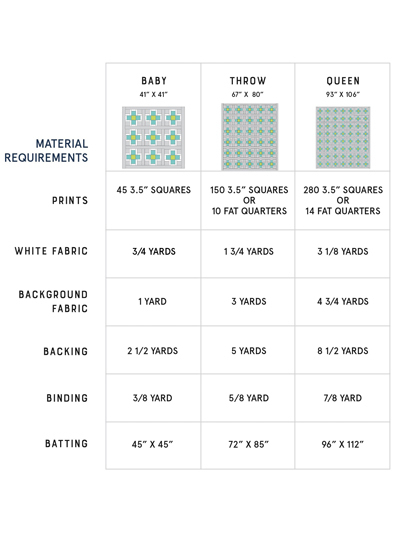 Finished size: baby 41" x 41"; throw 67" x 80"; queen 93" x 106".